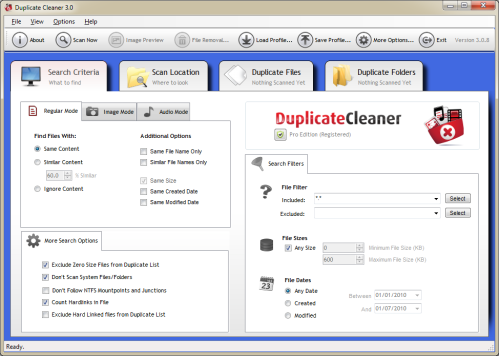 The Search Criteria tab is where you tell Duplicate Cleaner what you are looking for. (The Scan Location tab lets you say where). There are three modes of operation - Regular Mode, Image Mode and Audio Mode. Select the appropriate tab to activate this search type, and then specify the criteria.